What is the Value of Assessing OT Networks? An assessment does indeed provide a “to-do” list and may provide some leverage in the next budget cycle. You may even be required by regulation to have a third-party perform an assessment for you. In any case, don’t lose sight of the true objective. The true objective is to determine the root cause of these symptoms and deal with the disease directly rather than with symptoms after the fact. There are different levels of rigor to OT cyber security assessments and you may not be ready (i.e., your management may not be ready) for a full-blown in depth walk-down assessment. You may have to start with a smaller scoped effort. To help get you started, The Langner Group has developed a self-assessment tool based on our RIPE framework which is being used in sectors from nuclear to water. The tool is call RIPE Self-Assessment Tool (RSAT) and there is no cost or obligation to use it. So, by all means, get that assessment done, but take a larger view of the findings. 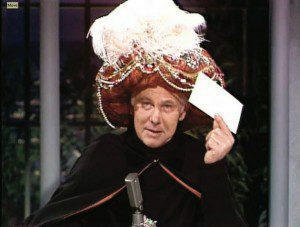 Like Carnac the Magnificent, you may already know the answer, but look beyond the answers to find the question: what is the root cause of all these symptoms? As a person responsible for the health of your company’s revenue generating processes, you owe it to yourself and management to make the case to cure the disease.